What particularly draws my eyes are the long, narrow feet dangling below the pulpit (Size 12, triple A, I think), feet that are painfully, vulnerably bare. Every vein is distinct, the feet bony and chalky. Normally, the speaker’s feet would be encased in well-polished leather, and perhaps draped by swishing robes: here, they speak of mortality and fragility. I find these feet throat-catchingly beautiful. In the pathos of these bare feet, the artist insists that we remember the preacher’s humanity. 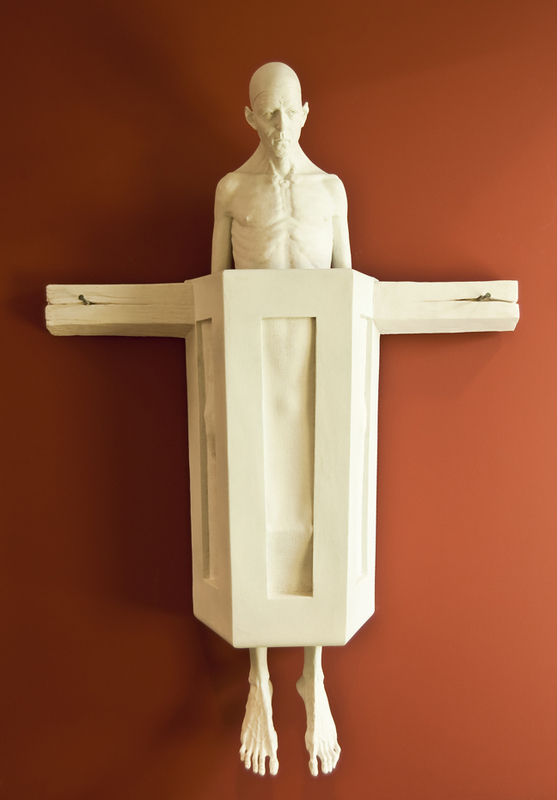 This entry was posted in Uncategorized and tagged art, feet, preacher, sculpture. Bookmark the permalink.